The cooling system is a critical component of your vehicle, especially in warmer months when the engine has more trouble regulating itself. Don’t let an overheating issue become a reason to replace your engine. Bring your vehicle to Glenn’s Auto Repair for any minor or major work your cooling system requires. Your cooling system works in two ways, through liquid cooling or air cooling. Most modern vehicles use a liquid cooling system, while older models may be outfitted with air cooling. In a liquid cooled vehicle, a centrifugal water pump is used to circulate water while the engine runs. The centrifuge spins the fluid, drawing from the center to the outer regions of the device so that it reaches the engine. The liquid travels through the pump, into the engine and cylinder head, before entering the radiator and returning to the pump. This process cools the engine and keeps your vehicle from overheating. Your engine is like the heart of your vehicle; when the vehicle is on, the engine never stops running. This means that fuel is being burned, and combustion is occurring at a frequent rate. Of course, you want your engine to be hot enough to vaporize fuel, but no more than 200 degrees Fahrenheit at any given time. When your engine is overworked, and doesn’t receive enough coolant, or the radiator isn’t working properly, it will overheat and stall. The radiator is an important part of the cooling system, as it cools off the coolant which absorbs heat from the engine, before it is circulated through again and again. Unfortunately, if your radiator quits, your water pumps and cooling system are also likely to go, and this is bad news for your engine. Here are a few signs to watch for which indicate it’s time to see a mechanic. Overheating Engine: One of the most obvious signs of a bad radiator is an overheating engine. If you notice smoke or steam coming from under the hood, a burning smell while driving, a whining or clunking noise coming from your vehicle, or if your vehicle just gives up and cuts out, your engine is likely overheated. Overheating once could be the result of many different complications, but if you find that overheating is becoming a regular occurrence, something isn’t functioning properly, and all signs point to the radiator. Low Coolant and Leaks: Watching your coolant levels get gradually lower without any rhyme or reason is frustrating, but a leak could be the culprit. If you notice leaks under your vehicle, it’s time to schedule an appointment with your mechanic. A professional mechanic can inspect your radiator for cracks and leaks, and discover whether there is reason for concern. A pressure test, and other tests including those with different dyes may be used to diagnose and identify a leak. If you notice your coolant levels dropping, and aren’t sure why, it’s best not to continue refilling the tank. The more you fill the coolant, the greater the possibility that the leak could expand. It’s best to have your radiator repaired quickly, before it begins affecting other areas of your vehicle. Sludgy Build-Up: Watch the color of your coolant, especially if you’ve noticed it changing at all. Green, red, and yellow are all common coolant colors, depending on the make and brand you choose. Overtime, problems within the radiator, including debris can cause a sludgy substance to form. This will look brown, black, or rust colored, and will appear thicker than normal coolant. Unfortunately, contaminated coolant of this kind doesn’t flow properly through the radiator, and when it does get inside the radiator it contaminates over fluids and can be dangerous for your engine. Your mechanic can identify this discoloration and pinpoint its cause, to restore your vehicle to safe driving standards. If you’re experiencing trouble with your cooling system, seek help from a mechanic as soon as possible. Small problems can quickly escalate into big ones if not dealt with quickly and efficiently. For more information on cooling systems or water pumps, as well as other auto services offered through Glenn’s Auto Repair, contact us today. 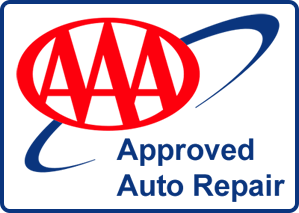 Our friendly staff is always happy to hear from new and existing customers, answer any questions you might have, and schedule you an appointment with a certified mechanic at your convenience. We also recommend vehicle owners check out other available services on our website.